Pizza sauce recipe – How to make easy tomato pizza sauce at home. 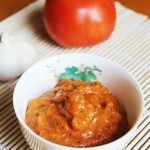 Pizza sauce and easy to make at home. Yes ! It’s true. For me this seems to be the easiest things I can ever do in my kitchen. I just follow a base recipe and then tweak around with different ingredients that are optional. The base recipe needs very few ingredients that most kitchen always have, tomatoes, garlic, chili flakes, pepper, olive oil, oregano and yes a bit of paprika to get an exciting deep color. I like to blend my pizza sauce, as it gives a uniform color and brings out the flavors. However you could skip it, if you don’t mind the chunky pizza sauce. I usually make pizza sauce at home fresh each time I make the pizza. This tomato pizza sauce can be used to make pizza of any kind like veg pizza, chicken pizza, paneer tikka pizza, bread pizza, vegetable pizza sandwich. 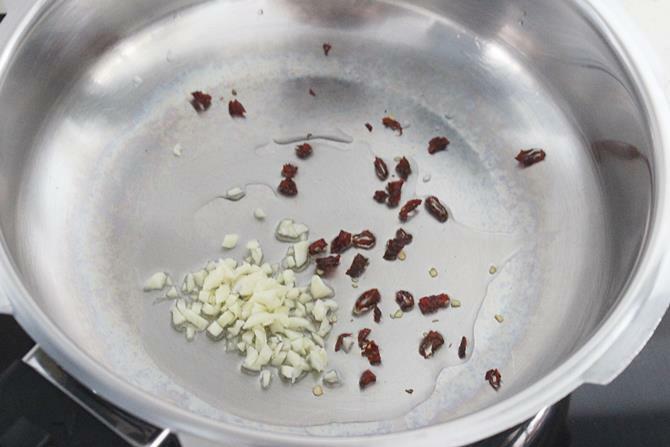 Heat a pan with oil, add chili flakes, saute for a min. Add garlic and saute till they turn fragrant. 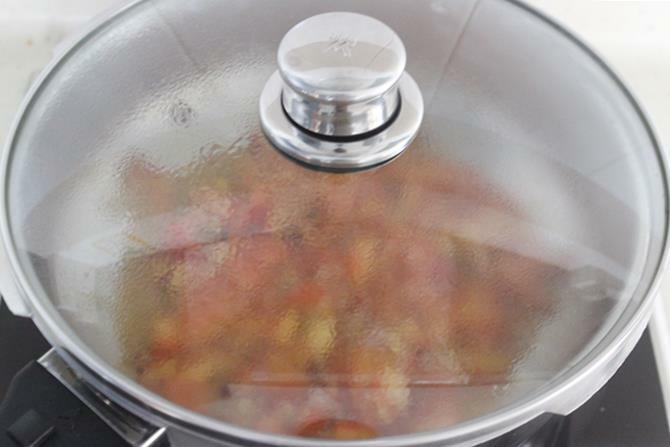 Other optional ingredients can be added at this step. 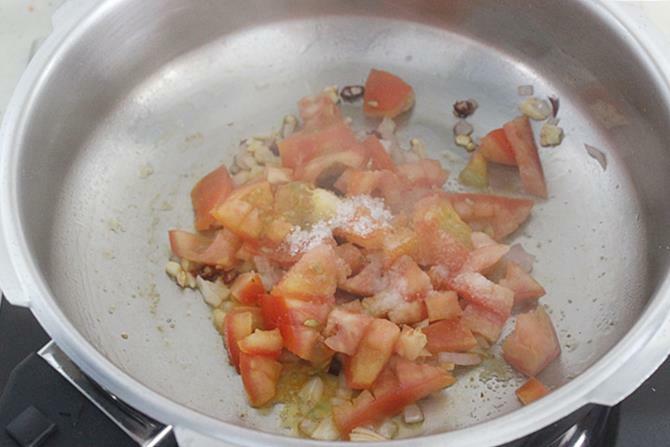 Add onions and fry till they turn golden,Add tomatoes, salt and sugar. Fry till the tomatoes turn soft, mushy and pulpy. When the mix cools, blend in a blender. 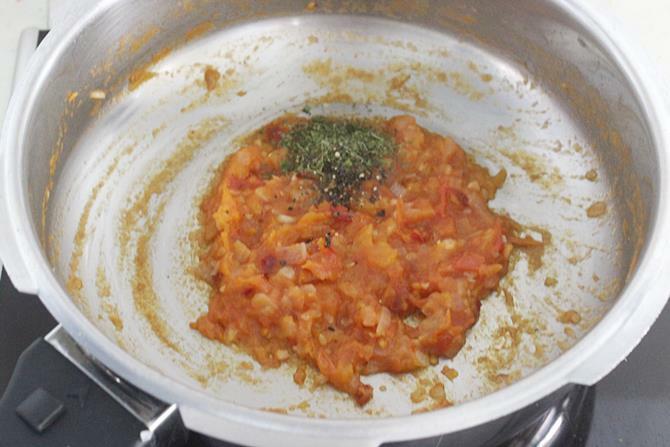 Blending is optional, you can skip if you don't mind the skin of the tomatoes in the sauce. Store pizza sauce in a glass bottle. It keeps good for 2 to 3 weeks in fridge. 1. Heat oil in a pan, add chili flakes, toss for a min. 2. Add garlic and fry till they turn fragrant. Any other optional ingredients can be added at this step. 3. Add onions and fry till golden.Add tomatoes, sugar, and salt. Fry till the tomatoes turn mushy and pulpy. 4. Cover and cook on a low flame if needed. 5. Add the oregano and pepper. Mix and switch off. 6. 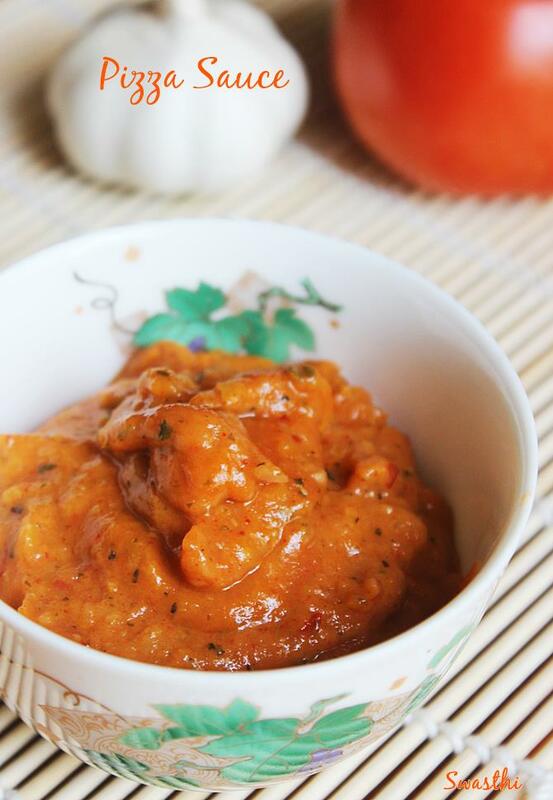 Once cool, add paprika or red chili powder and blend in a blender. Blending is optional. can you show me hot n sour soup recipe>>?? happy to learn cooking, recipes with images it helps a lot. 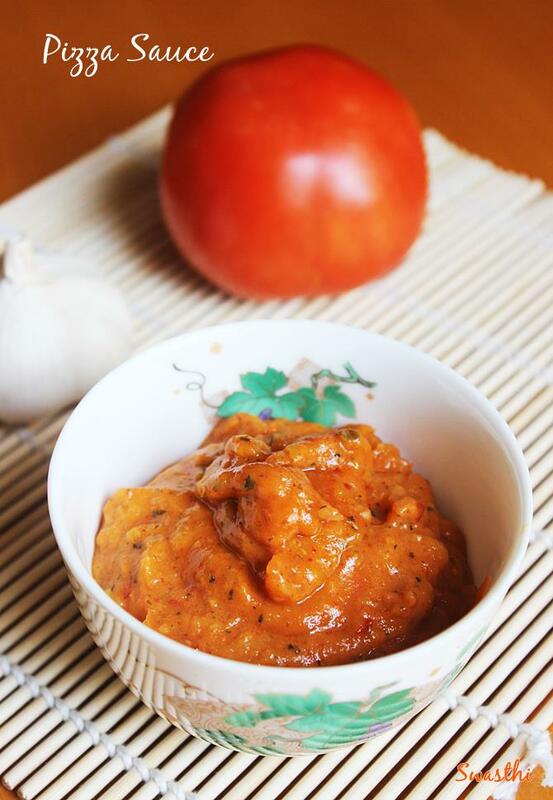 Home made pizza sauce, my favourite..
Rich in color…… Looks yummy pizza sauce!! Very nice pizza sauce dear. Love it. I love these kind of easy homemade pizza sauce…pinned and shared! Love ur blog Swasthi !! First time here 🙂 <br />Very tempting pizza sauce ! !